The Reviews Section is all about sharing your thoughts and insights on the best Lomography and analogue gear out there. In this updated set of guidelines, we seek to explain what we are looking for in a Review submission. We want to encourage personal freedom but also point out what to keep in mind before you submit a work to this section. Remember that these are only guidelines though, they’re not rules! These submission guidelines show you what we are looking for in a Review piece. We want to encourage personal style and freedom but also point out several things to keep in mind when submitting an article. Remember, these are guidelines and not rules! The Reviews section is for Lomographers and analogue enthusiasts, so have fun writing! We want you to share the many ways in which analogue and especially analogue photography is a part of your life. Be thoughtful and creative, and try to include vital facts such as your personal background, experience and specifications of the equipment used. And of course, feel free to express your personal view as well! Must suggest the main message of your piece. Must suggest the overall context/theme of your story. May include specific cameras, film types, or techniques used. May include relevant keywords and related interests. Select a camera, film, or accessory from the drop-down menu. If the item you want to review is not on the list, please feel free to send us a note! Must answer the basic who, where, what, why, and when questions. Must have 40 words maximum or 2-3 sentences. Must be different from the content. Must have 300 words or more. Must have at least 10 photos and 1 header photo which will serve as your article’s cover photo or thumbnail. (Please see how to embed a photo below). Images must be 1216×1800 or 1216 × 2432px in size in order to be properly displayed on the new website. We’d also like to remind everyone that your submissions should contain only the photos you’ve taken, unless you’re writing about a specific camera, film, accessory, etc.and you need product shots. If you’re going to use photos from other websites, remember to secure permission and cite your sources. Must be well edited, clear, and concise. Try to keep your writing structured, interesting, and informative. Please observe the basics of capitalization, grammar, and punctuation – but don’t fret, the Magazine Editors will do their best to make your article more reader-friendly. Try to wrap up your text by being conclusive and giving the reader something to take away. You may wish to close your piece with a thought provoking question or encourage debate in the comments section. To submit your Review, email your article in Word doc. or docx format to magazine.editors@lomography.com. Please include photos, captions, links and of course your username. If you want to use bold, just put the text in asterixes like *this text that will appear in bold*, which will result in this text that will appear in bold. For italic, just put it between underscores like _this short text_, which will result in this short text. To create bulleted lists, just put an asterisk before each item. Embedding a photo: Use [Photo:photo-ID-number-at-the-end-of-URL] to embed a photo from your LomoHome, or [Asset:asset-number-of-photo-uploaded] to embed a photo that you uploaded via Submission Form. When using two or more photos in the segments of your article, they should be embedded as galleries. Embedding a gallery: Use [Photos:photo-ID-numbers-at-the-end-of-URLs] to embed photos from your LomoHome, or [Assets:asset-numbers-of-photos-uploaded] to embed photos that you uploaded via Submission Form. Adding a caption: To place a subtitle or caption under your photos or galleries, simply add the text in the very next line of the photo code. Whenever you’re using photos from other websites, make sure to include a link to the sources of these photos. Please see how to create links below. To include a link in your article, simply put “quotation marks” before and after the word, phrase, or sentence you would like to link, followed by a colon and the URL you would like to use. Whenever you use information from other websites to help you write your Analogue Lifestyle pieces, it is necessary to cite them as your references at the end of your article. All submissions approved for publishing will be awarded 15 piggies. 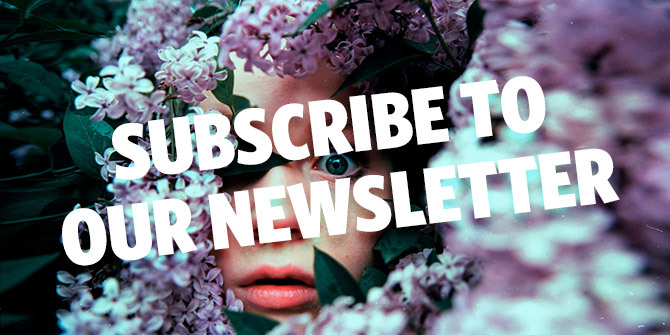 If you have any questions, feel free to drop us a line at magazine.editors@lomography.com. It is the Magazine Editors’ right to bounce or reject submissions which do not comply to these guidelines and criteria. Got any comments, questions or feedback? Anything to help us make the Magazine better is welcome! Contact Jill if you want to discuss something in detail!